A master class by renowned clarinetist Karl Leister is one of many live web casts of concerts and master classes available from the Northwestern University School of Music. Presented live via streaming video on April 23, 2007, the program includes students from the College of Music performing Brahms' Sonata in f minor, Schumann's Fantasy Pieces, and Mozart's Trio, concluding with the Brahms' Quintet. Both live audience members and Internet viewers were able to direct their questions to Karl Leister throughout the three-hour master class. The video requires Quick Time 7 software, available on the Pick Staiger Concert Hall web site for downloading at no charge. In this performance at Grand Valley State University in 2006, Michael Lowenstern plays his virtuosic arrangement of the Gershwin classic "Summertime." This is probably different than any other version of the tune you've heard, with creative use of extended techniques such as multiphonics and slap tonguing. A video of British jazz clarinetist Acker Bilk (b. 1929) performing his "Stranger on the Shore" has already accumulated an incredible 100,000 views. Though probably unfamiliar to many younger clarinetists, Bilk's "Stranger on the Shore" reached number one on the U.S. Billboard charts in 1962 -- the first British single ever to achieve that feat. Used as the theme for a BBC TV drama of the same name, this memorable tune features Bilk's distinctive chalumeau sound and lyrical style. According to his website, Acker Bilk attributes his unique clarinet sound to having "lost two front teeth in a school punch-up, and half a finger in a sledging accident." Bilk continues to perform regularly, bringing his sound to a new generation of listeners. Amongst a sea of amateur videos of adolescent instrumentalists on YouTube, one particular video of a young clarinetist has caught the attention of many. Video footage of Julian Bliss, on the cusp of his twelfth birthday, captures his agility and virtuosity in an astounding performance of André Messager's Solo de Concours with pianist Ashley Wass. The young British clarinetist wows an audience of over 40,000 during a concert in honor of the Queen at Buckingham Palace on June 1, 2002. Performing from memory, Bliss playfully opens the first theme with a confidence normally associated with the more seasoned player. His charismatic stage presence and technical prowess are apparent throughout the performance. In the years since this performance, Bliss has achieved international acclaim as a soloist while continuing his studies with Sabine Meyer and attending the Royal College of Music in London. This video presents a 21st-century musical scene where music, virtuosic playing, corporal expression, and computerized technology become one. With all elements beautifully orchestrated, one sees, hears, and experiences the Clarinet Concerto (Peacock Tales) by Swedish composer Anders Hillborg. Adding magic to this intense piece with his playing and nimble body movements, Martin Fröst leaves the viewer in awe. Fröst's management released the video in tandem with a 2006 interview granted to the website Clariperu. The interview of the artist is in Spanish. Eric Dolphy - "God Bless the Child"
This incredible 1961 video of Eric Dolphy is one of the few clarinet videos to accumulate over 100,000 views on YouTube so far. Peruvian clarinetist Marco Mazzini, principal clarinetist of the Ostrava International Orchestra (Czech Republic), shares his knowledge of extended techniques in these instructional videos. Mazzini is an enthusiastic proponent of contemporary music, and has created these videos on glissando, slap-tongue, and circular breathing. Mazzini begins his video on glissando technique by encouraging clarinetists to "coquetear con el clarinete" (literally, flirt with the clarinet). As he describes, an important step towards learning the glissando is to begin to play with the sound, experimenting with alternatives to a traditional concert tone. Mazzini then discusses the embouchure technique, finger technique, and practice recommendations for learning the glissando. In this video, Mazzini explains the technique of slap-tongue. With ample demonstration and detailed explanation, this instructional video may prove helpful even to those who understand little Spanish. In this short video, Mazzini introduces the technique of circular breathing. He demonstrates how a straw and water can be used to begin to practice the technique, and also demonstrates on the instrument. This video from the British sketch comedy show That Mitchell and Webb Look depicts a magical green clarinet which, when played, causes people to reveal embarassing truths about themselves. Caution: contains adult humor! This radio interview with Harold Wright from WGBH.org reveals some insights from one of America's most revered clarinetists. Interviewer Brian Bell speaks with Harold Wright several months before his death in 1993 on a wide range of topics, including air pressure, the life expectancy of a clarinet, reeds, the American school of clarinet playing, and the Boston Symphony. The 12-minute interview also includes an excerpt and discussion of a rare recording of a Boston Symphony clarinetist from 1904-1914 (we believe the name was "George Griset Grisez," but please correct us) performing the third movement of Weber's second concerto. A "cache," in computer lingo, is a place where information is stored in one place for easy access. "Cache" can also refer to a treasure trove where valuable items are stored. Both of these meanings convey the inspiration behind our column in The Clarinet and this accompanying blog Clarinet Cache, in which we track clarinet-related media on the internet and collect it in one place. Here we have links to the material covered in each column and much more - we hope you'll visit often, comment, and send us your ideas for future posts and columns. A "cache," in computer lingo, is a place where information is stored in one place for easy access. "Cache" can also refer to a treasure trove where valuable items are stored. Both of these meanings convey the inspiration behind our column in The Clarinet and this accompanying blog Clarinet Cache, in which we track clarinet-related media on the internet and collect it in one place. 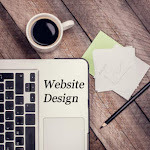 In our print column (published quarterly), we investigate topics or specific websites in-depth. At the Clarinet Cache blog, we post electronic versions of these columns, and much more. We hope you'll visit often, comment, and send us your ideas for future posts and columns. 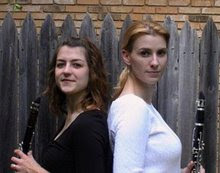 Clarinet Cache is authored by Kellie Quijano and Rachel Yoder (http://www.rachelyoderclarinet.com).